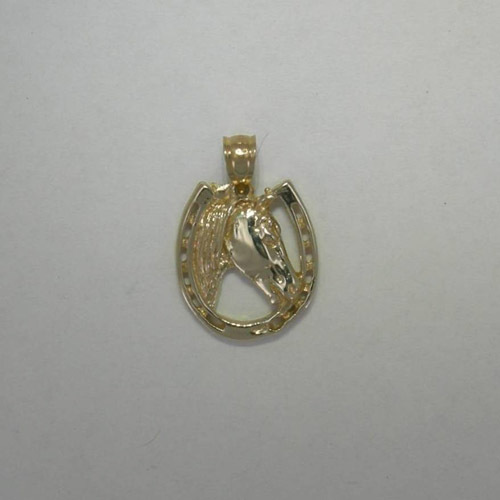 Desc: 14 karat yellow gold horsehead inside horseshoe pendant. The pendant is open behind the horse head and the holes of the horseshoe. The piece has a bright polish finish.